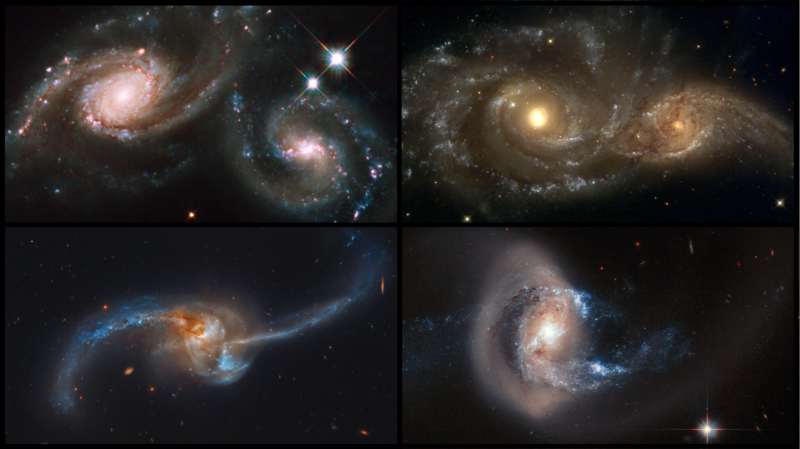 “We know that galaxy mergers are an important part of galaxy growth and evolution through cosmic time. By detecting gravitational waves from supermassive binary black holes at the cores of merging galaxies, we will be able to probe how galaxies are shaped by those black holes,” - Prof. Sarah Burke-Spolaor, West Virginia University. Fifty years ago, the February 24, 1968 edition of the journal Nature provided the solution, with the discovery of a new kind of star. This new star was curious, emitting regular radio pulses once every 1.3 seconds. 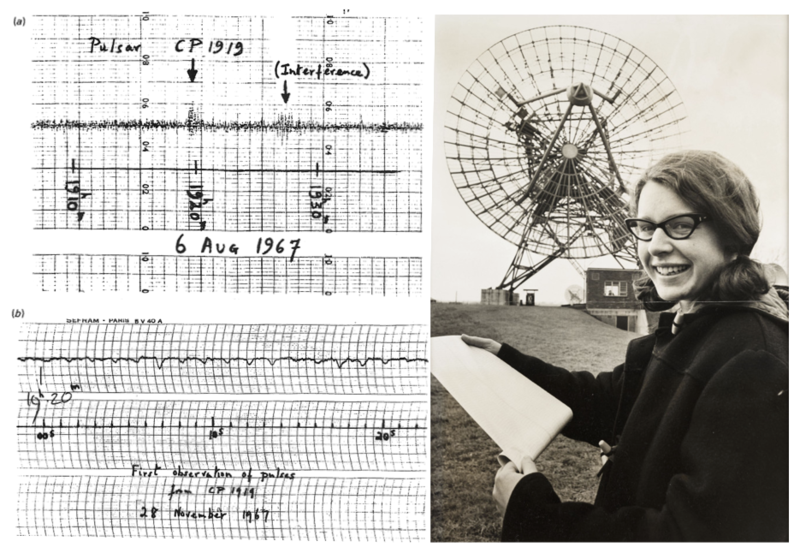 Graduate student Jocelyn Bell (now Dr. Bell Burnell) was the first to spot the signal, seeing it as “a bit of scruff” in her radio surveys. Zooming in on the scruff, Bell saw the regular pulses from the star. In the US and Canada, a group called NANOGrav (North American Nanohertz Observatory for Gravitational Waves) is searching for these gravitational waves using some of the largest telescopes in the world, including the Green Bank Telescope in West Virginia and the Arecibo Observatory in Puerto Rico. NANOGrav routinely joins forces with groups in Europe and Australia to improve their sky coverage and sensitivity. 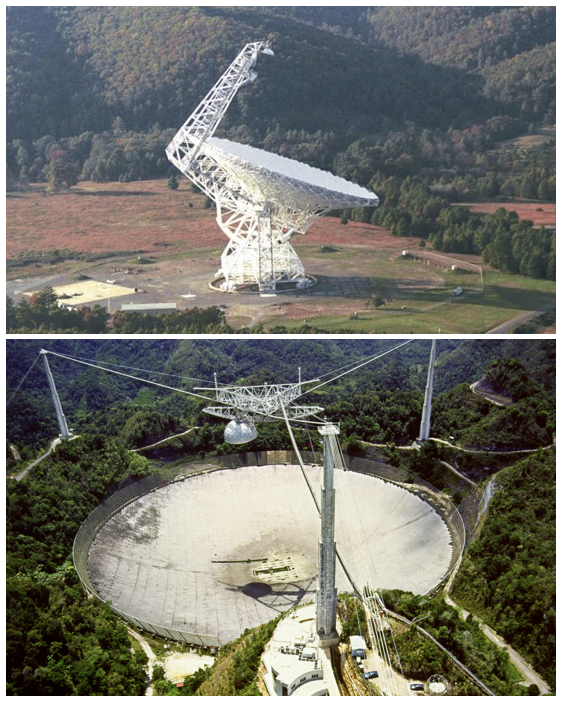 Collectively known as the International Pulsar Timing Array, the combined observations from these groups constitute the most sensitive data set in the world for searching for low-frequency gravitational waves. “From city-sized pulsars spinning fast in galaxies to large, massive galaxies themselves and their merging central black holes, all in 50 years! That is a large step for humankind, and not one that we could have foreseen. What will the next 50 years bring? Pulsars and gravitational waves will continue to be big news, I’m sure!” - Jocelyn Bell Burnell.